Our Vision is to be a leader in the preventive health sciences bringing innovative options for preventive and curative therapies ultilising organic and nature identical products. PreveCeutical - Word Origin Preven(Tive) + (Pharma)Ceutical. “Preve”ntive [pri-ven-tiv] (noun), a medicine or other treatment designed to stop disease or ill health from occurring; “Ceutical” [soo-ti-kuh] (suffix), refined healing item or therapy. Developing what we believe to be the first FDA approved, a CBD-based nose-to-brain delivery system that will provide relief across a range of indications from pain, inflammation, seizures, and neurological disorders. Our proprietary nasal formulations will also be designed to be universally-patient friendly, meaning formulations that can be used in children and adults alike. Sol-gels are taken via nasal (systemic) administration and rapidly gel upon contact with mucosal tissue, which paves the way for direct nose-to-brain delivery. This effectively bypasses the stomach and intestines - eliminating first pass metabolism - and may dramatically improve bioavailability - even compared to nasal sprays and other newer delivery systems. Additionally, the gel stays in the nasal passages, slowly releasing the CBD while keeping it active for up to seven days. The ease of application and its long-lasting effects may be attractive for patients when compared to other delivery systems. We expect to have our delivery platform fully tested, approved and ready for market deployment with licensed medical marijuana company partners in approximately 18 months. We plan to identify active peptides that are providing the immune boosting, pain relieving, and tumour selective properties, then test what happens when used on various abnormal cells like brain, lung and breast cancers. A preclinical research and development program is now underway. It was designed and is being directed by our Chief Science Officer, Dr. Mak Jawadekar, PhD. PreveCeutical, and partner Uniquest, are currently screening peptides isolated from Caribbean Blue Scorpion venom across some of the most aggressive diseases where there exists unmet clinical need, such as cancer. There are numerous research papers in the public domain which show the anecdotal findings and efficacy of venom peptides taken through the proven route of administration on cancerous cells/tumours. Our initial focus will be on targeting a very aggressive form of brain cancer (glioma). From there we plan to extend the program to screen our library of nature identical peptides in a high throughput screening (HTS) manner across a range of other cancers. PreveCeutical’s advantage is demonstrated proof of concept. Over five years of multi-disciplinary research, Dr. Parekh’s team has collectively generated convincing results in models of this disease, using Smart siRNA and a Tissue Targeted Bio-responsive Carrier System. This program paves the way for preclinical evaluation of proprietary chemistry toward the single gene target implicated in both diabetes and obesity, thereby reducing capacity to store fat, reversing obesity, fatty liver disease, and possibly curing the disease rather than just managing it. “With diabetes, over-production of a particular protein molecule has been identified and purposed to be responsible for the key drivers of diabetes and obesity, starting patient on an inevitable journey of significant co-morbidity and increased rates of mortality. PreveCeutical’s gene-silencing technology would effectively “turn off” the genetic signal which leads to the over-production of this key protein molecule, bringing it back down to safe, normalized levels; this would in turn help our cells to absorb glucose, thus reducing blood sugar levels and prevent the body from storing excessive fat from our diet. Thus gene-silencing does not represent a mere management for diabetes and obesity, it represents the potential for a bona fide cure or, in cases where patients have a pre-disposition to diabetes or are in the pre-diabetes state, it can be applied as a ‘PreveCeutical’ to halt progress to the full-blown disease. PreveCeutical Medical Inc., and partner UniQuest Pty Ltd have signed a letter of intent proposing to expand the use of their disulphide linker technology to develop non-addictive analgesics for moderate-to-severe pain. This Research and Development program, led by Dr. Harry Parekh in-conjunction with his fellow collaborators at The University of Queensland’s School of Pharmacy, involves peptide library synthesis, pharmacological evaluation, alongside pharmacokinetic assessment and efficacy determinations in appropriate animal models of pain and inflammation, and may encompass either party’s intellectual property and product line and other pharmaceutical offerings that may fall within the peptide Research and Development program. Dr. Parekh commented “This is a very exciting and important program as we focus on engineering a novel class of drugs derived from our very own endogenous pain pathways, for example when pain and inflammatory insults occur. Our preliminary work has highlighted that by using our proprietary linker technology we can enhance stability while maintaining, and in some cases enhancing the potency of lead bioactives. Having PreveCeutical on board will accelerate our current program, allowing us to rapidly expand and screen the bioactive library, taking the most promising candidates through to efficacy and pharmacokinetic evaluation. Peptides are currently being used to target an array of disease indications including metabolic disorders, pain, cancers, cardiovascular and infectious diseases. The therapeutic peptide market is projected to undergo considerable expansion in the foreseeable future as technologies to enhance their stability and bioavailability emerge. 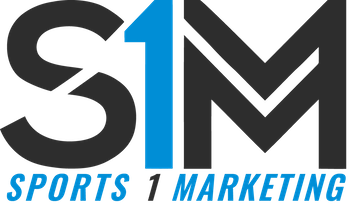 PreveCeutical signed a joint venture with Sports 1 Marketing. The joint venture was established to develop a therapeutic product geared towards athletes who suffer from concussions (Mild Traumatic Brain Injury). Through PreveCeutical’s current Research and Development program connected to the Caribbean Blue Scorpion venom, PreveCeutical and Sports 1 Marketing believe that there is therapeutic potential in the peptides and proteins to potentially treat concussions. According to the Centers for Disease Control and Prevention website, a severe concussion not only impacts the life of an individual and their family, but it also has a large societal and economic toll. The estimated economic cost of concussions in 2010, including direct and indirect medical costs, is estimated to be approximately $76.5 billion. Additionally, the cost of fatal concussions requiring hospitalisation, many of which are severe, account for approximately 90% of the total concussion medical costs. Mr. Van Deventer is an experienced business person and corporate director. Specialising in international corporate relations and business development over the last twenty-five years, Mr. Van Deventer has focused on launching small to medium-sized companies into the public markets in Canada, the United States and Europe. He has also owned and operated private businesses. Kimberly Van Deventer is an entrepreneur with a successful track record of accomplishment that she brings to PreveCeutical. Motivated and determined, she was ranked the third highest grossing female business owner in BC, Canada in 2009. Kim is a driving force behind the business and is unwavering in her commitment to bringing awareness of health and disease prevention to people everywhere. Dr. Mak Jawadekar worked at Pfizer Inc. in Groton-New London, Connecticut, for 28 consecutive years. His most recent position was as a Director of Portfolio Management at Pfizer Inc. He was responsible for Drug Delivery Technology Assessment function involving external ‘Drug Delivery’ technologies. He has extensive experience in creating and cultivating external partnerships and alliances for drug delivery technologies. He began his professional career at Pfizer Central Research in early 1982, after having completed his Ph.D. in Pharmaceutics at the University of Minnesota. Mr. Matt Coltura has a Bachelor of Business Administration degree from Okanagan College where he specialised in finance. He has worked in the finance industry for over three years with a primary role in writing credit for potential borrowers in the industrial lending market. Currently, Mr. Coltura is the CFO of Cayenne Capital Corp and sits on the board of directors for Stoneridge Exploration. Ms. Rajan is a senior financial executive with over 20 years of experience, leading the financial discipline for successful businesses in both private and public sectors. She has a track record of providing leadership for strategic value creation and continuous improvement, as well as, providing effective direction to organisations on issues relating to corporate governance, financial oversight and risk management. One of her leadership roles was that of Director of Finance at Canada Line Rapid Transit Inc., which planned and constructed a $2 billion rapid transit system in metro-Vancouver, on time and within budget. Based at the University of Queensland’s (UQ) Pharmacy Australia Centre of Excellence (PACE), Dr. Parekh also holds adjunct positions at the National University of Singapore, and Manipal University, India. Dr. Parekh heads the Drug/Gene Delivery Group at PACE-UQ with his team developing highly innovative and translational medicine delivery systems in-conjunction with physicians whose expertise span cancer, obesity-&-diabetes, macular disease, infectious disease and traditional (Chinese) medicine. Nicole Goncalves-Krysinski, Esq., is an attorney and a partner in her law firm in New York City, New York. She has a J.D. from St. John’s University and B.A. from U.C.L.A. Nicole practices in both state and federal courts handling a broad range of cases including complex bankruptcy matters, matrimonial, and criminal defence litigation. Her areas of practice also include contract negotiations, business and transactional law and corporate advisement. Ms. Rebman is a Marketing professional with a background in Publishing Technologies, Communications, and Graphic Design; specialty in branding/communications for social enterprise and NGO start-ups. Ms. Rebman ran a successful design services company for six years and afterwards headed the marketing department for the Global office of Hartley & Marks Group, an international design & publishing company. Susan Blond started her career painting with The Whitney Museum studio program but once she got a job at Andy Warhol’s Interview, life was too exciting to paint. She sold ads there primarily to record companies and the magazine took off. She then went on to United Artists and Epic/CBS Records where she became the first woman VP in the whole industry. The artists she represented were Michael Jackson, Boy George, Sade, the Clash and countless others. She formed Susan Blond Inc in 1986 where she not only represented Usher, The Spice Girls, and Morrissey, but companies such as The Hard Rock Cafe, Sports Club LA (now Equinox) and executives like Charles Koppelman and Clive Davis. Susan serves as Secretary of the Board of DIFFA: Design Industries Foundation Fighting AIDS. Ms. Cole has held Administration Support and trainer roles within the Hospitality Industry for seven years. Ms. Cole has also worked for a Venture Capital company for five years as an executive assistant and office manager. From bookkeeping to event coordination Ms. Cole’s organisation and fortitude keep operations running smoothly. Ms. Deanna Kress has been involved in public capital markets since 2003 with a focus on Investor Relations and Corporate Communications. Ms. Kress has wide-ranging experience with a number of exploration and production companies listed on both the TSX Venture Exchange and the Toronto Stock Exchange. Ms. Kress led various marketing initiatives with public and private company management teams to assist with equity financing's, to secure coverage from all sectors of the investing community, and to implement internal procedures to ensure clear and effective communication to stakeholders. Ms. Kress holds a Medical Assistant Diploma and is in the process of completing a Health Sciences Degree. Mr. Van Deventer is currently finishing his studies in Computer Information Systems, Information Technology at Kwantlen Polytechnic University. Shadowing and training under Mr. Van Deventer Senior, Mr. Van Deventer junior’s ambitions find him an eager finance professional.